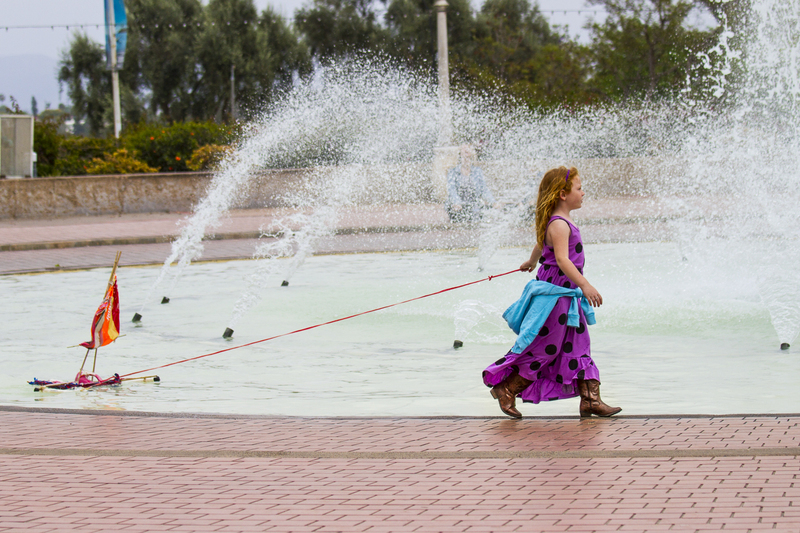 Kongo spied this determined voyager stalking around the fountain in Balboa Park yesterday afternoon. Three trips around then she returned Kon Tiki to the man who was renting them for donations. Colorful dress choices, cowgirl boots, and that red hair are going to take this little girl somewhere. She had a look about her. She did have a walk that telegraphed that she was on her way to someplace. And that boat was coming too! Couldn’t agree more – she surely has a future!